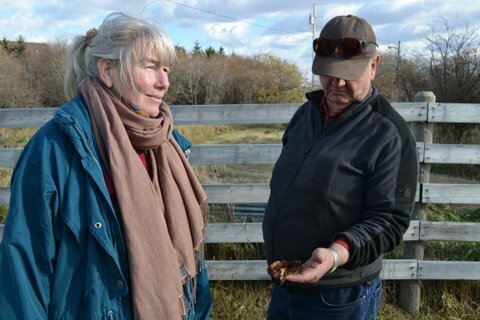 Fracking the Hawkwoods near Calgary, dead cows and…RADIATION? 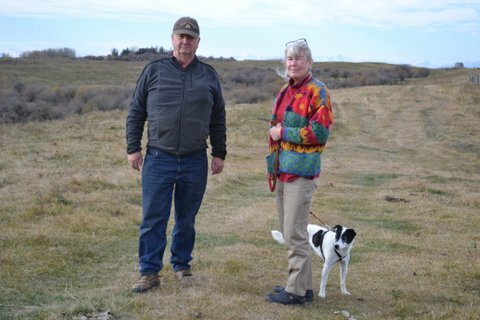 No one knows better how troublesome frack emissions can be than people living in the vicinity of their release, in rural spots some refer to as “sacrifice zones.” Howard and Nielle Hawkwood are among these. 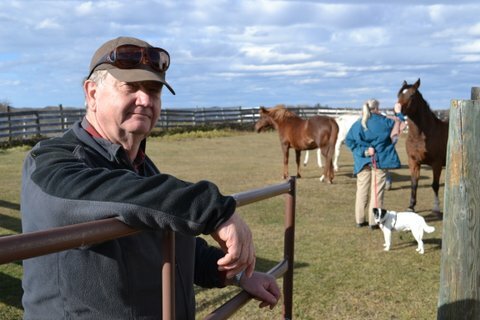 Howard and Nielle raise cattle just outside Airdrie, Alberta, a half hour drive north of Calgary. 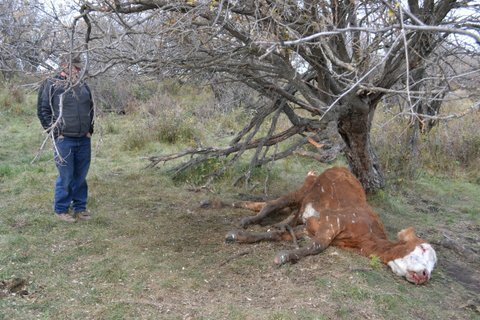 This year something seems to have sickened and killed a tenth of their herd, including one 4 year-old cow found dead on the day of the above audio recording (see photo below). Nielle has lost her hair, as have a dozen other women and girls in the area, Nielle reports.